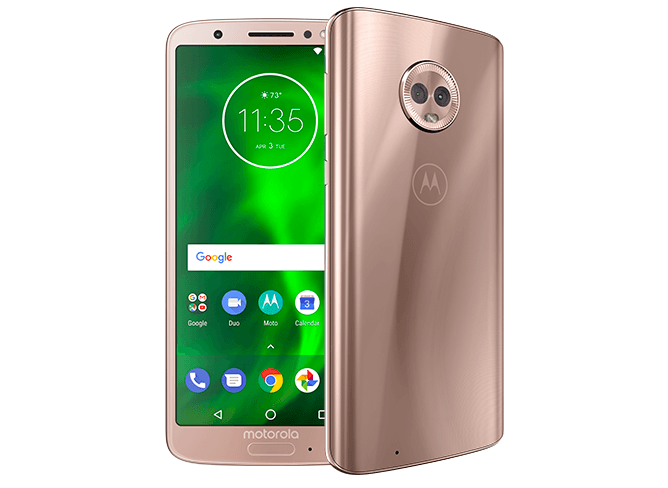 Motorola has shared plans of launching the Moto G6 Plus in the country after it introduced the Moto G6 Play and Moto G6. Unlike its predecessors, which came with not so attractive specs and pricing, the Moto G6 clearly shows improvement in the area of aesthetics. The Plus model has some edge over the standard Moto G6 as it comes with a bigger screen and some notched up internal specifications. The phone features an all-glass body with 18:9 aspect ratio screen which contributes to its attractive design. To give you some more insight into what makes the Moto G6 Plus such a suitable device, we have compiled a list of 5 things which are worth waiting for the Moto G6 Plus. The Moto G6 Plus features a 5.9-inch Full HD+ display which is bigger than its standard Moto G6’s 5.7-inch Full HD+ display. The bezels on the phone have also been toned down to give a better screen-to-body ratio to the buyers. The larger screen will contribute to a much better visual experience on the device. The Moto G6 Plus sports Gorilla Glass on front and back and the glass curves around the edges on the rear which gives a phone a more comfortable hold. The back on this device has been designed in such a way that it reflects light in wavy or S-shaped patterns on the back, thus lending a unique look to the phone. Regarding design, the Moto G6 improves drastically over previous Motorola phones which have often been criticized for the same reasons. The Moto G6 Plus sports a Snapdragon 630 SoC, which fares as a better performer compared to the Snapdragon 450 which we get to see in the Moto G6 standard variant. This SoC combined with a 6GB RAM is guaranteed to offer a fluid performance. However, it is still doubtful whether or not the company will launch a 6GB variant in India for the Moto G6 Plus. We might see Motorola launching the device Snapdragon 636 SoC in India, according to rumours. Motorola is known for offering pure stock Android experience on its phone which will be the case for the Moto G6 Plus as well. The phone provides fluid performance thanks to its bloatware-free Android experience. Further, the stock Android comes with very minimal addition from Motorola which are pretty standard and nothing out of the blue. This factor also increases the battery life of the device. The battery on the device is also slightly better than the 3,000mAh one that we get to see on the Moto G6 standard variant. The device packs a 3,200mAh battery which performs better thanks to the more efficient Snapdragon 630 SoC which works based on 14nm architecture. Interested only if Moto G6 is mated on a 636 SOC with dual volte standby. Otherwise I can try out Asus Zenfone Max pro M1 or 5Z. Motorola Lenovo is THE worst for service. A certain paid agent named Airtel user always speaks otherwise. Actually he is about to lose his dealership due to poor sales….. plz buy Moto g6 and help save Airtel user’s job.